Another happy customer! 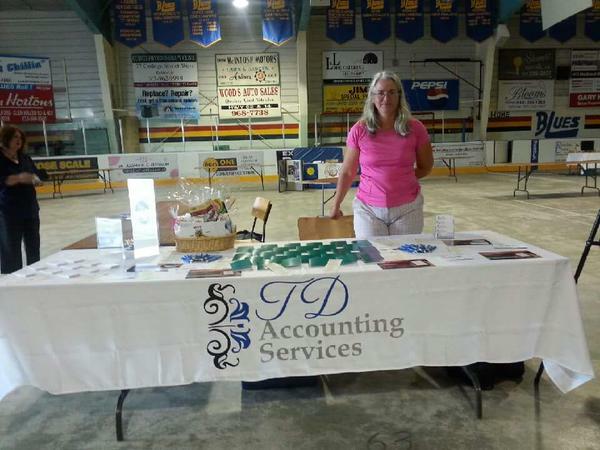 TD Accounting Services came to us the beginning of August looking for some ideas to make her booth pop. After getting an understanding of their goals we worked with TD Accounting Services to come up with is great tablecloth. End result was; they were very happy with their new tablecloth and they received some great feedback. This tablecloth is a regular tablecloth printed with durable vinyl. Best of all it was manufactured in the Quinte region. Thanks TD Accounting Services for your business and continued support! Baseball hats, visors, mesh hats, and toques are all great promotional ideas to help promote your business or event. Put your logo and slogan front and center in the crowd and get people talking. Hats are cost effective and a great marketing solution that can be use for all sorts of things including employee handouts and to give out at promotional events (ie. Trade shows, golf tournaments, fundraisers, schools). We offer a HUGE selection of hats in a variety of different designs and colours to suit any brand or event. Visit our Promo eStore and browse our complete line of headwear now.